ArtsW has a range of membership options – everything from a free account for Artists to a full, corporate sponsorship, to a limited-membership that allows venues to post their events to the ArtsW site for a one-time fee. Various levels of access to features required that Tadpole build a plugin to allow for synching between the CiviCRM and WordPress User tables. This plugin has since been adopted, and is now maintined, by Christian Wach. 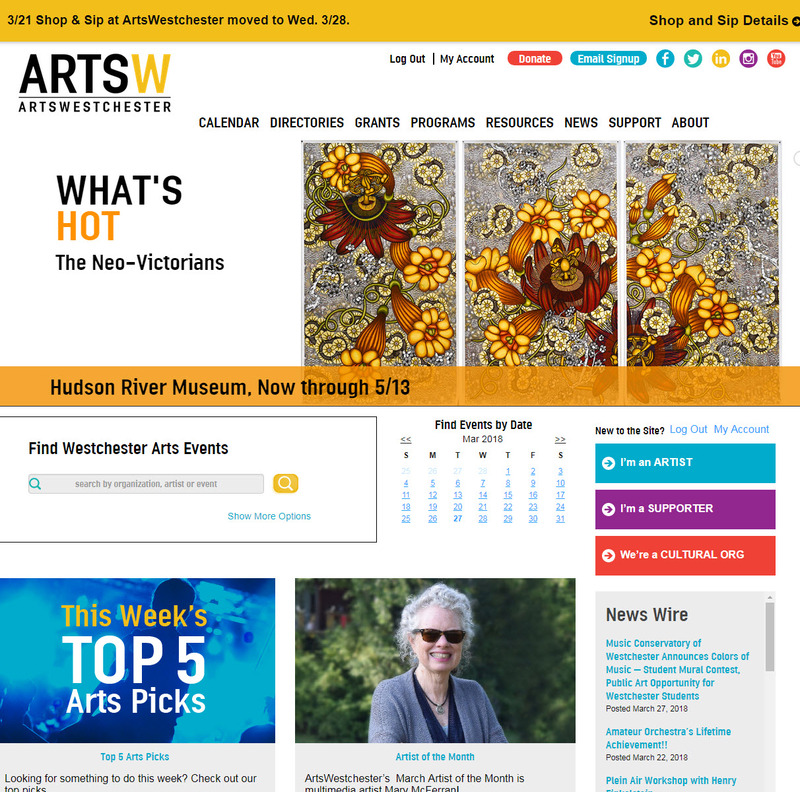 ArtsW maintains an event calendar that contains both ArtsW sponsored and user-submitted events. Events can be one-time performances, open-ended exhibitions, limited-run workshops – every variety of arts activity running for any length of time. Tadpole installed and configured Event Manager, but then needed to add custom functions and CSS to display recurring events in the calendar format required for ArtsW’s web audience. Tadpole recently configured Caldera Forms to handle ArtsW’s application for affiliate organizations. The process was previously handled by CiviCRM using a method where a temporary membership was set up. Now Caldera processes the form, creating the contact and associated relationships in CiviCRM and recording activities more seamlessly. ArtsW was already using WordPress for website content management when they approached Tadpole Collective, but they were fast outgrowing some of the features that had been hard-coded into the original site’s design. They also wanted to simplify their internal processes; keeping data in sync between half a dozen databases to track memberships, event registration, donations, and outreach activities has become unwieldy and burdensome to their small staff. Because some of their data around membership, event registration, etc., was being collected via the ArtsW website, it fell to the webmaster to coordinate the flow of data and keep it in synch with all the disparate, internal systems used for tracking and reporting these activities . She was introduced to CiviCRM for WordPress at WordCamp NYC 2012, via a presentation by Tadpole founder Dana Skallman.